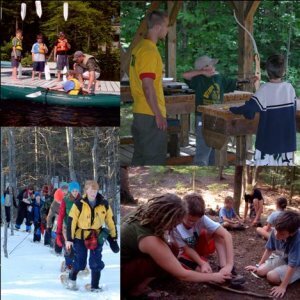 The mission of of the camp is to provide affordable, experiential education in conservation and in the development of outdoor skills, within a natural setting, for people of all ages and backgrounds. This mission supports the broader mission of the University of Maine Cooperative Extension 4-H Youth Development Program, to help Maine people improve their lives through education that uses research-based knowledge focused on issues, needs and aspirations. - understand the inter-relationship of issues facing communities and the state and their individual actions.